We are experiencing a quiet revolution. Everything appears the same from the outside. The streets, the towns and cities, and everyday life are the same. To be sure, there are changes. The internet has appeared, and computers and smartphones are everywhere, but for the most part, we drive our cars, fill them with gas, and pay our utility bill as always. Years ago, the world became aware of increasing need for energy, the growth of industry, and the problems those created. Environmental and health effects gained attention. A hope that new sources of energy and ways of using energy could be found led to an interest in solar and wind power, electric vehicles, and other solutions. But the hope of permanent solutions to these problems languished as years went by and energy prices fell. Those goals seemed in the distant future. But that is all about to change. Even then, we were aware that there were limits to the sources of energy we used. One by one, as those limits were faced, solutions were found, and we could continue as before. As pollution rose, acid rain fell, affecting lakes and forests. Car exhaust choked cities and formed smog and annual inversions. Unfortunately, the smog problems experienced in London in 1952 were ignored, as they were repeated in the US and now Asia. Freon released into the atmosphere depleted the ozone layer. In response, coal power plants were fitted with bags to collect particulates, and scrubbers to limit sulfur and acid emissions. Cars were provided with catalytic converters to limit pollution and smog. Refrigerators and air conditioners were converted to gases that did not deplete the ozone layer. And among those many concerns languishing because it seemed in the distant future was the depletion of fossil fuel energy sources. Some thought was given to the idea of sustainability with renewable sources of power like solar and wind. Further in the background lurked a problem that seemed distant and less pressing. Scientists warned that burning fossil fuels would heat the planet. Those two problems have reversed in prominence. As an awareness of carbon emissions and global warming emerged, consciousness of growing fossil fuel depletion receded. Ironically, the depletion of resources has led directly to the replacement of fossil fuels just as the new crisis of global warming dawned. Yet the fundamental changes necessary to embrace emerging solutions have persisted. Paradoxically, while gigantic wind turbines were built by the thousands in the first decade of the new millennium in the US Midwest and Europe, few were aware of their presence. Solar panels dropped in cost rapidly and began rapid introduction in parts of Europe, Australia, the US, Japan, China, and many other areas. Electric vehicles were introduced by major auto manufacturers and new companies alike, and one company, Tesla, introduced a successful electric vehicle with sparkling performance and long range. It exists as an awareness that all things experienced as though by one, and shared with others, become part of a collective global consciousness shared by all. Deep within those solutions yearning to sprout is a revolution of consciousness. That revolution of consciousness is fundamentally intertwined with our ideas about how we live and the means we use to flourish, our culture, our values, and our beliefs. Our ideas create the world we live in and shape the way we feel. Our lack of consciousness of the growing changes is not a coincidence. It is the clash of new ideas and old that has created the problems and will prod the solution. It is no coincidence that we are on the cusp of a modern revolution of both mind and machine. Seemingly miraculously, old solutions like wind, solar, renewables, and electric vehicles are transitioning to replace the past means. The forgotten dreams of yesterday appear as the solutions of today. The clash between ideas of the past rooted in unlimited growth and the vision of the future painted in the image of sustainability persists. And yet the looming crisis of resource depletion and unlimited growth has but one solution and is irresistible. The revolution has finally begun. US wind energy is set to double by 2020 to become about 10% of electrical energy. US solar could increase fourfold. The same patterns are appearing globally. Meanwhile, storage prices have dropped to levels 5 years ahead of predicted schedule. Tesla will unveil an affordable 200-mile-range electric vehicle in March and GM has just announced an affordable 200-mile-range electric vehicle this January, to head off the announcement from Tesla. Tesla has quietly taken over the US large luxury sedan segment, and the makers of gasoline-powered large luxury sedans have faltered. 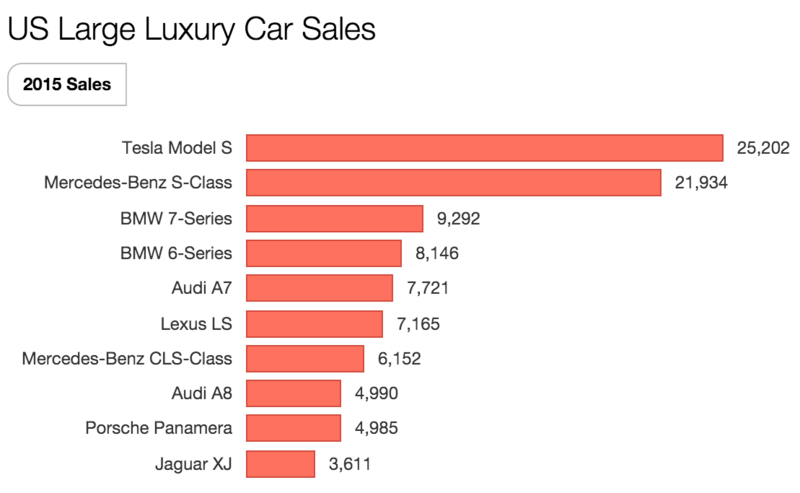 The next shock will hit the mid-sized and mid-priced sedans as others join Tesla and GM. Meanwhile, the average American may be unaware of the thousands of wind turbines dotting the prairies of the Great Plains, the mountain passes in California, and the Columbia River Valley. The leaders of the last countries reluctant to admit climate change and surrender to solutions have agreed to act. And the Paris Conference has united the world in a growing urgency to act. There is good reason to believe that the growth of these solutions will increase. It is well known that if an emergent technology reaches economic parity with existing technologies, the so-called “tipping point,” adoption rates accelerate. We may have yet to see the greatest adoption rates as the replacement technologies drop in price lower than the incumbents. Who knows, even solar growth might accelerate, even though its growth rates are spectacular. We are nowhere near saturation, and we are near, but not necessarily past, the tipping points. If wind saturates at 35%, solar at 15%, geothermal, hydro, and biomass at 30%, and the rest is conventional plus 10% storage, we have achieved the mix used in NREL’s Renewable Energy Futures Study, a path to 80% renewables by 2050 at costs similar to business as usual. It is not the only way to achieve high renewable penetration, but it illustrates the idea. Hydro, geothermal, biomass, and concentrated solar with heat storage also exist. Renewables do not have to be backed up with storage for decades. The time of pessimism and gloom is transforming to an era of action and possibility. The revolution that is coming has already started. The silent revolution will remain silent no longer.